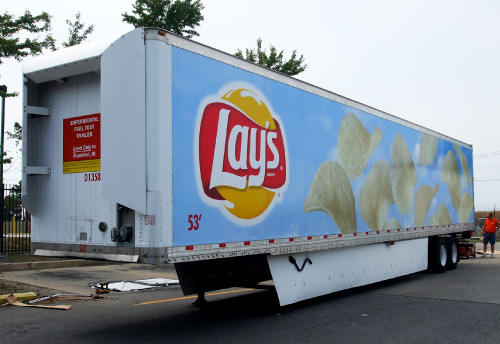 Redefining the potential of front trailer fairings. This fairing will save 1-2% for the most efficient aerodynamic and gap specifications used by today’s long haul tractors. 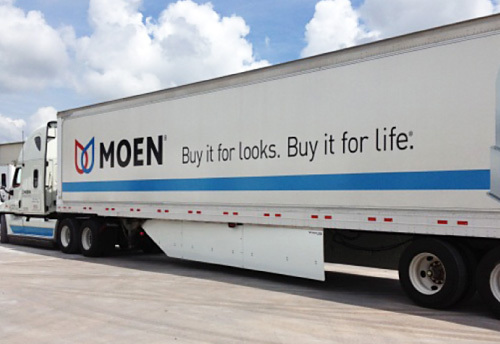 These savings can double if your trucks lack optimized aerodynamics and/or run a large gap setting. Add the AeroFlex for up to 9% fuel savings. 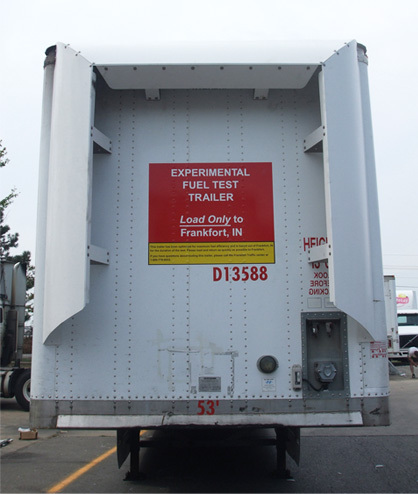 The Gap Fairing provided an additional 2% fuel savings when tested with the Belly Fairing in SAE/TMC J1321 type II testing. 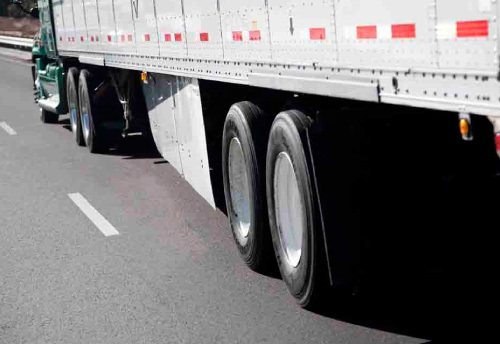 Unlike trailer skirting, the fuel saving results of front trailer fairings can be more variable due to different tractor aerodynamic configurations and gap settings, but this is still an important area for improvement for long haul fleets needing maximum aerodynamic coverage. Durable state-of-the-art advanced material construction. Now with flexible plastic panels and braces, you do not need to worry about impact damage negating your important fuel economy benefits. 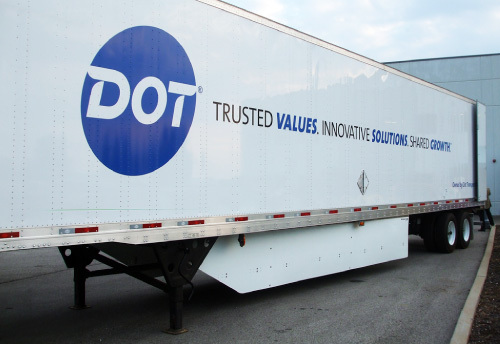 This new improved design and lower price will make the Freight Wing Gap Fairing an important addition to any high mileage dry van trailer. 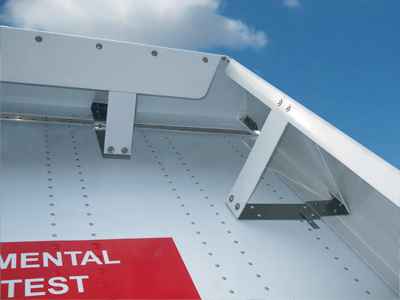 The Freight Wing Gap Fairing is easily mounted to nearly any dry van trailer, providing improved trailer aerodynamics. 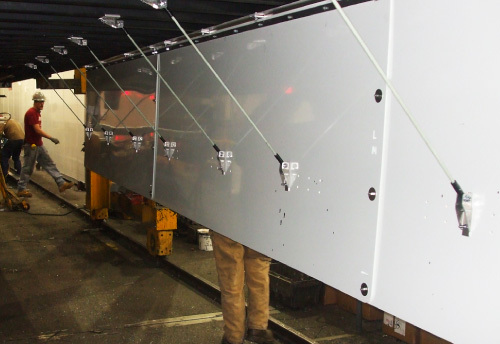 These units can be pre-assembled in an hour and mount quickly on the trailer face. 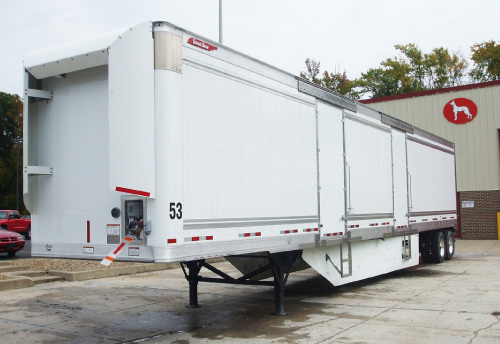 The innovative design allows different trailer corner and leading edge geometries to be accommodated with a perfect fit. 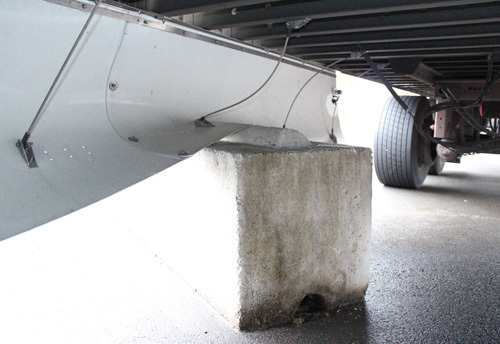 No maintenance is required beyond periodic fastener inspection. 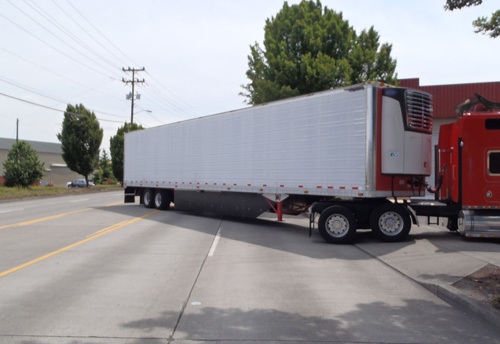 The gap fairing is within the turning radius of the trailer so it will not contact the tractor when turning even if you run a tight gap. 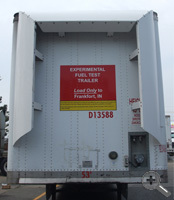 The center of the trailer face remains open to allow convenient access to the back of the cab and hook up cables. Improved flexible support rod system. 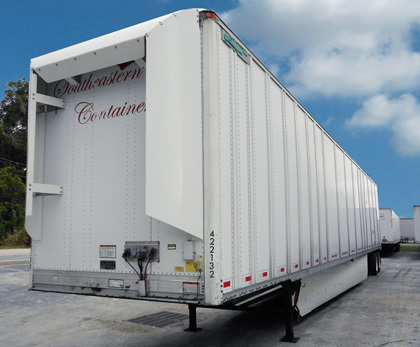 Height of the unit is 90.97” and the width is 91.7"
See more examples of Freight Wing products. Viewable pdf of our product brochure. Viewable pdf of our installation manual. Viewable pdf of our parts catalog. 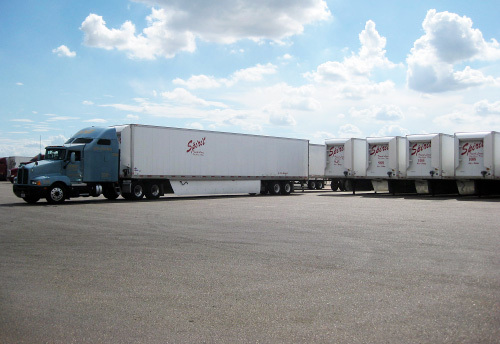 Increase your diesel truck mileage with products from the proven leader in semi trailer aerodynamics. 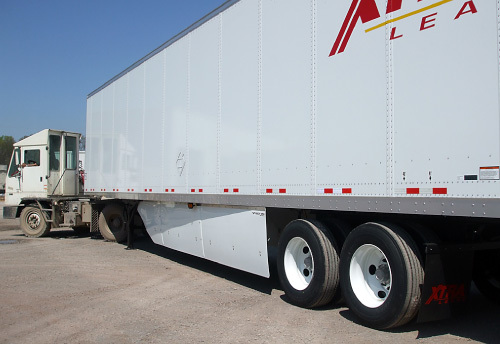 Freight Wing Aeroflex trailer skirts and trailer wind deflectors significantly improve diesel mileage by reducing drag through enhanced tractor trailer aerodynamics. 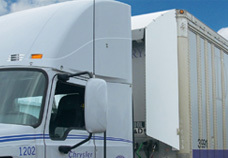 Freight Wing has been purchased by Ridge Corporation. You will automatically be re-directed to the Ridge Corporation website. If you are not re-directed, please go to www.RidgeCorp.com.